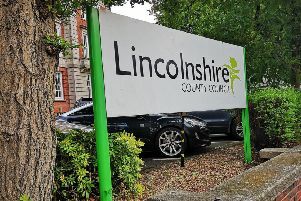 Lincolnshire East CCG is urging eligible older patients to get the shingles vaccine to help prevent the painful infection. Shingles is an infection of a nerve that creates a painful rash across the infected area, and it is estimated that one in four people will contract shingles in their lifetime. Shingles occurs in those who have previously experienced chicken pox. The virus remains dormant in the body and can be reactivated at a later point in life. Although you can contract chicken pox from someone who is suffering from shingles, a common misconception is that it is possible to contract shingles directly from someone with the virus. This is incorrect; however chickenpox symptoms in adults can be more severe than in children, and may lead to further health complications. This is a possible reason why parents may be keen for their child to contract the virus at an early age. The symptoms associated with shingles include sensitivity, tingling or a burning sensation on the skin, followed by fever, headache, a painful rash and blisters. You become eligible for the vaccine from the first day of September after your 70th birthday for the following year. A shingles vaccine programme started in September 2013, with routine vaccinations available for those aged 70+, for those aged 50+ there are antivirals available that if administered early on, can prevent the virus multiplying and significantly reduce symptoms. During the recovery period, your GP will advise you to keep the affected area covered with loose fitting clothing and wait until the blisters have dried up before returning to work, although the virus is not airborne, it can be contracted via direct contact with the blisters. You should aim to keep the blisters as dry and clean as possible, try using a cool compress to achieve this, but do not share any cloths or towels during this time as it will encourage the virus to spread.